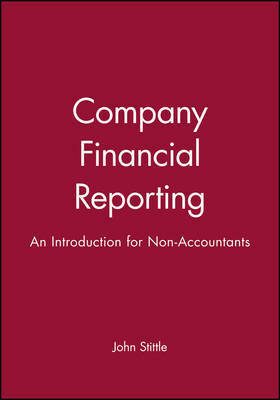 This text is a clear, non-technical and analytical introduction to company reporting for students in business and management at all levels. It has been carefully researched, designed and written for those studying in non-accounting disciplines including business studies, management studies, engineering and humanities. 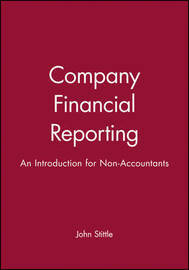 Equally it will be useful for those taking postgraduate courses and who are new to the finance and accounting field.The author assumes no previous knowledge of company reporting and leads the reader carefully through the key features of the field to give a clear understanding of:* The professional and legal regulations that support the foundations of company reporting* Analysis and interpretation of company financial statements from the user's perspective* The major weaknesses and limitations of company reports, and the questioning approach that the user should adopt* The impact of European and environmental issues.The book's relevance and applicability to the real world of business is enhanced throughout by reference to and analysis of real life company financial statements and reports. John Stittle is Senior Lecturer in Accounting and Finance at University East England, Chelmsford where he has lectured and researched in company reporting for many years. In addition to publishing a considerable number of academic and professional articles and papers, he has also acted in a consultancy role to a number of organizations.